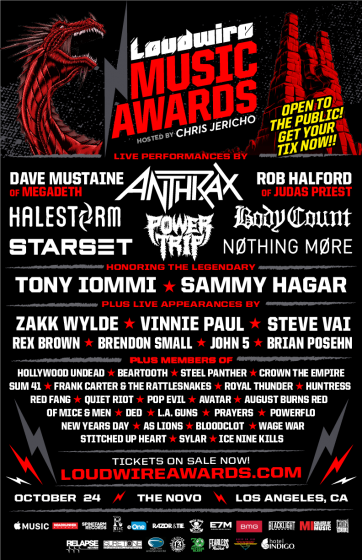 Sammy to be honored at Loudwire Music Awards in L.A. It's always exciting to receive an award. But this one is extra special! To be recognized for something you truly love doing and in front of an audience of your peers, doesn't get any better than that! Just announced that Sammy will be honorred at The Loudwire Music Awards ceremony and concert taking place October 24, 2017 in Los Angeles. Its annual online awards is beloved by both bands and fans alike. 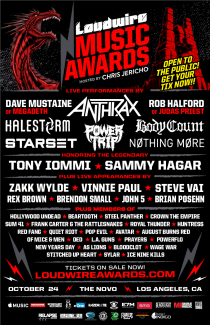 The 2017 Loudwire Music Awards will take place at the Novo Theater in Downtown Los Angeles and will bring together the biggest names in rock and metal. I am GOING .... YEAH BABY!! !